Our water bowser hire fleet provides a cost effective way of both transporting quality assured water supply to our clients around the country, and storing it once on site. Liquiline water bowsers are delivered using a 4—4 vehicles, allowing each unit to be located pretty much anywhere within reason, making them the ideal equipment to use when a water supply is needed, but the local terrain does not allow the use of water tankers. 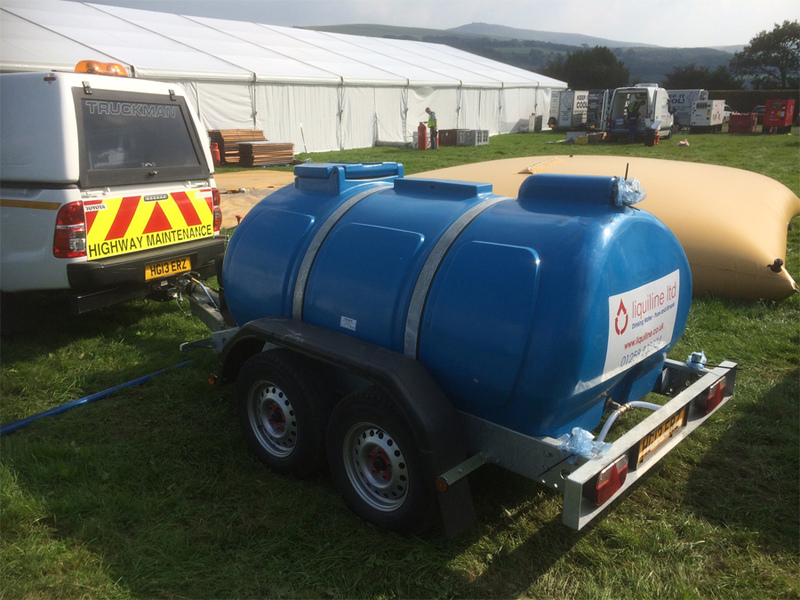 Our water bowser hire fleet provides a quick and simple solution for various sites where there is no mains water available, such as brown field building sites or events in remote areas. 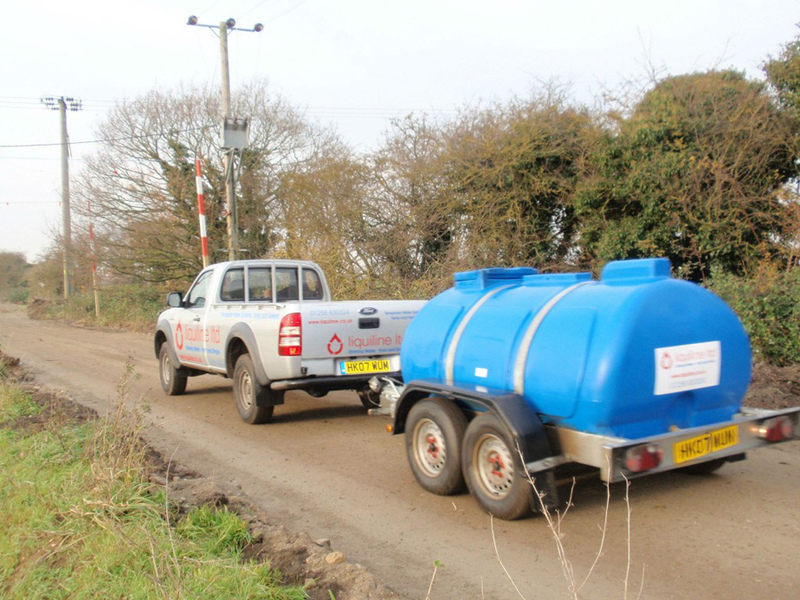 Our mobile water bowser hire fleet consists of purpose build UK, manufactured road legal, 2000 litre, twin axle water bowsers specifically developed for the safe transportation of a drinking water supply, from its source, to where it is needed.